Facts for Family Planning presents a comprehensive collection of key information and messages that anyone can use who communicates to others about family planning. Although a variety of individuals and groups can use Facts for Family Planning, it is primarily designed for those who communicate with men and women who are seeking information about family planning and help in selecting a family planning method. Facts for Family Planning is modeled on the early, popular versions of Facts for Life, a book that helped the child survival community communicate consistently about an emerging body of knowledge and best practices. Facts for Family Planning contains ten easy-to-read chapters. Each chapter provides an overview of key facts to provide the most basic information for quick reference, but also delivers more in-depth supporting statistics and content to provide a comprehensive look at family planning, specifically designed for a developing country perspective. 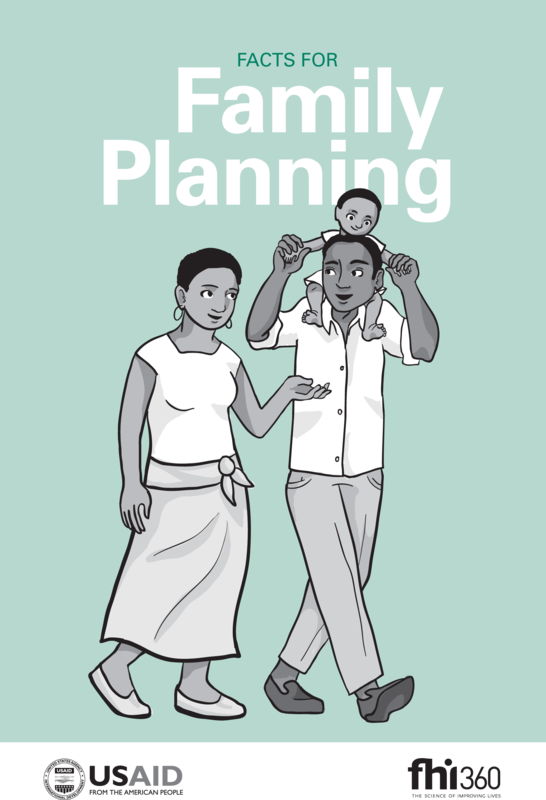 Facts for Family Planning has been developed to facilitate the work of community health workers, counselors and others in providing information on family planning. The content is also easily adaptable for communication strategies and outreach programs aimed at impacting a broader audience through the media and journalists. You may download individual chapters (above), or a complete PDF of all chapters. You can also order single and multiple print copies by emailing info@jhuccp.org or filling out the order form. Facts for Family Planning is available in English only.